Hello, my lovely readers! Finally the week is over and T.G.I.F! Tomorrow is the only day I can relax and do stuffs I want to do like rolling on my bed all day! LOL Haha :D Kidding! I have urban trail tomorrow i.e. walking around KL city and take street photos. Like I mentioned in my previous post, I've been using this line since about 10 years ago and only recently the packaging has changed! ...and I am still not sure whether to get the new ones or nor cause I bought other compact powders from another line (Maybelline Mineral Powder Foundation and TheFaceShop Oil Cute Pore Powder Pact) but yeah, since it's so affordable, why not? hehe shopaholic alert! Basically, there are 3 items that I have from this Maybelline's Clear Smooth line. 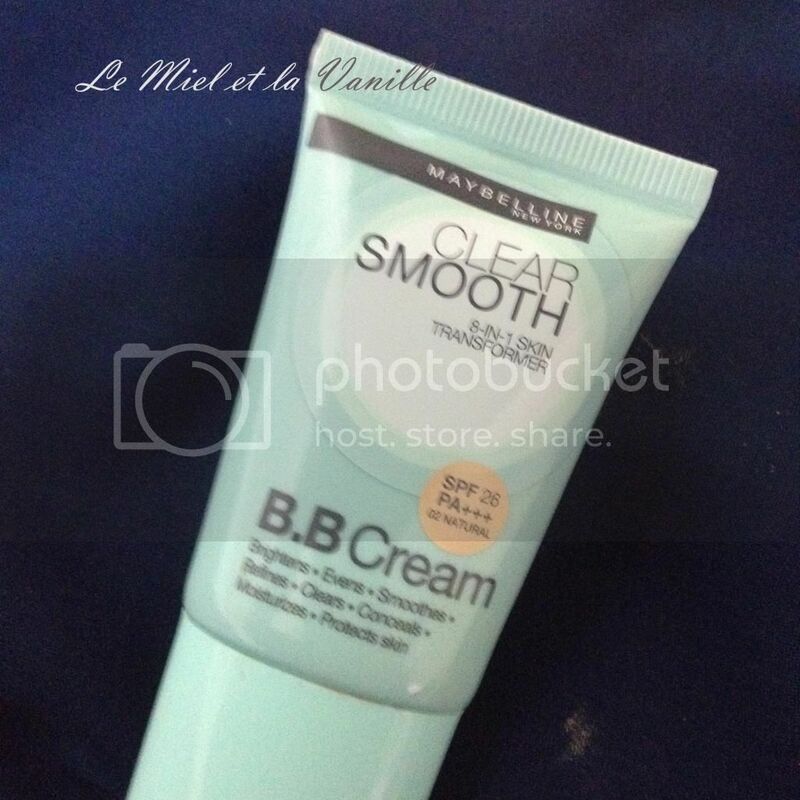 Maybelline Clear Smooth Shine Free Clear B.B. 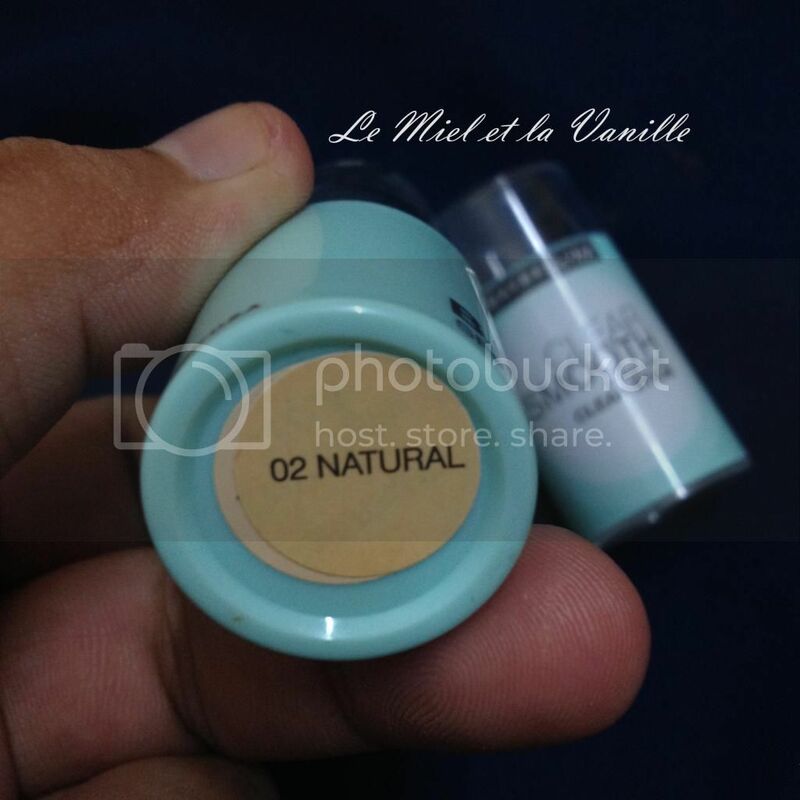 Stick SPF21 PA+++ in 02 Natural. I bought this about 2 months ago and have been using it quite frequently because of how it adheres to my skin so well especially on my T-zone area. That's the whole product. The packaging makes it so easier to use! Looks like a lipstick, right? A friend suggested to use a concealer brush but I prefer to just glide it on the targeted area and blend it using makeup puff (small ones especially for nose area). As I only need to use a little every time, I guess this goes a long way. I picked #02 Natural. Note that in Malaysia there are 3 shades available, #01 Fresh (lightest) and #03Radiance (darkest) but wherever I go, I never see the third shade. Click here for more info. Just glide the stick on your facial area and blend in using your fingers or puffs. 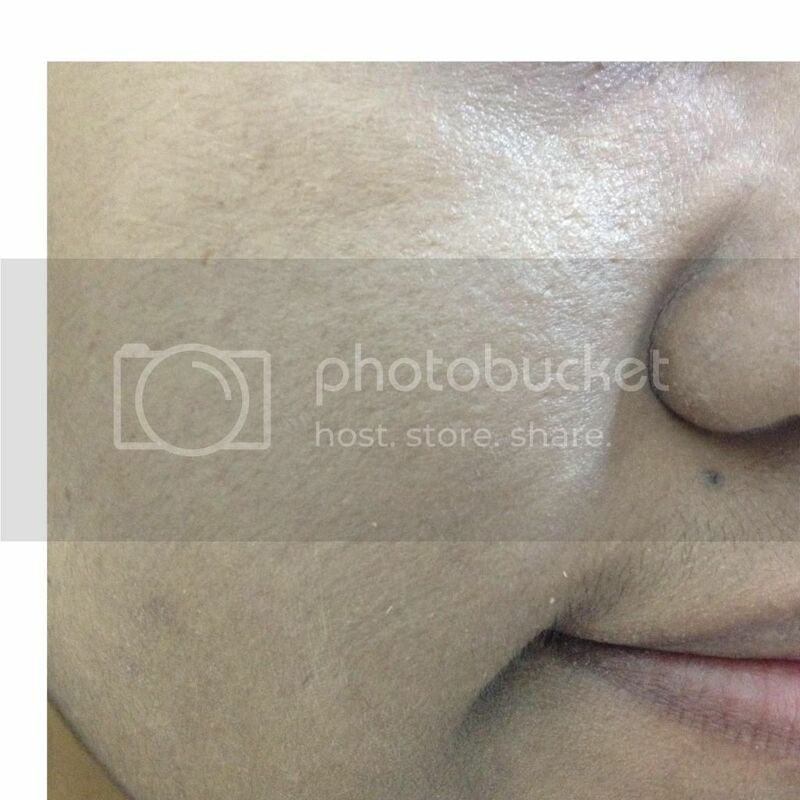 Just apply a thin coat, you don't wanna appear cakey and continue with your face powder or loose powder. Left: Bare face Right: With BB Stick. 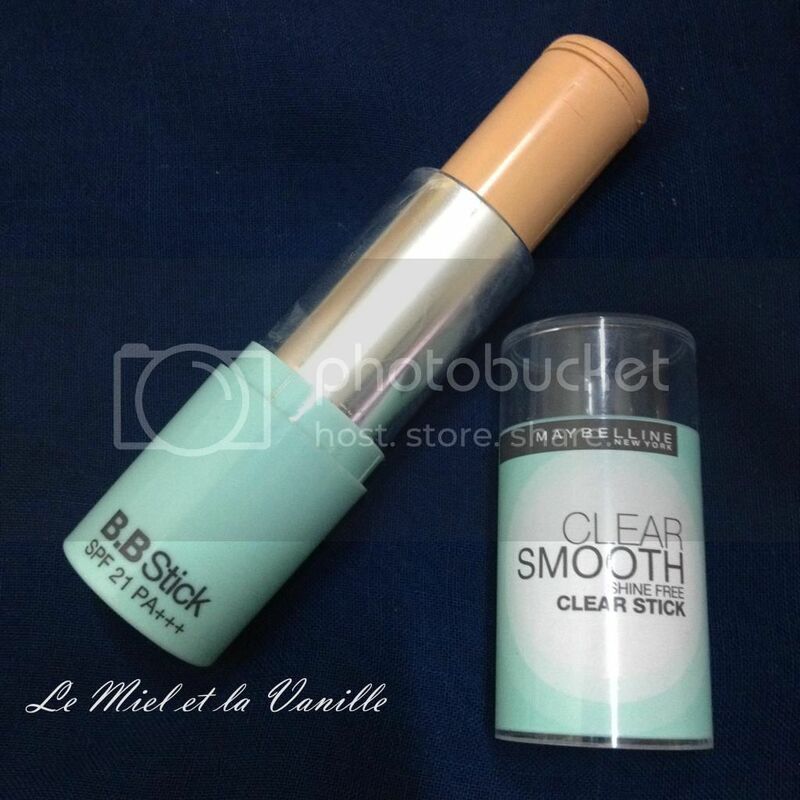 Overall, I do like this BB Stick, it has SPF, though I won't recommend just relying on this as sun protector. The texture is not sticky and as for the oil-control, my T-zone will usually start to get oily after 1 to 2 hours but with this, it gets oily only after 6 hours (though Maybelline claims it has 12-hour . Hence I only use this during those times when I need to go out for like 2 to 3 hours for tutorial or discussion at night. It gives slight coverage and it does cover my pores a little bit. I think this works great to those has smooth skin cause though it promises smoothness for skin, but I don't think it makes me skin appear to be smooth like I expect it to be. This doesn't dries up my oily-combo skin but I won't recommend to dry skin peeps because it's not sufficient on its own. Verdict: 4/5. Repurchase? I guess no, not because this doesn't work or anything but because I have other BB creams for now. This retailed at RM24.90 and I got this from Watsons with 15% discount. I bought this about 6 to 7 months ago if I'm not mistaken and it's almost finish actually. It has the same blue hues as other products from the same line. Mine is the shade #02 Natural. In Malaysia there are 2 shades available, another one is #01 Fresh (lightest). Click here for more. I totally dislike that. It's messy! There's product description at the back of the tube which basically is what's on the poster above. Main points are brightens skin, cover imperfections, reduce the appearance of pores and skin redness, and moisturizes your skin. Oil and fragrance-free. Doesn't clog your pores. Dispense appropriate amount of the product and apply evenly on your skin using fingers or makeup puffs. Finish up with face powder or loose powder. 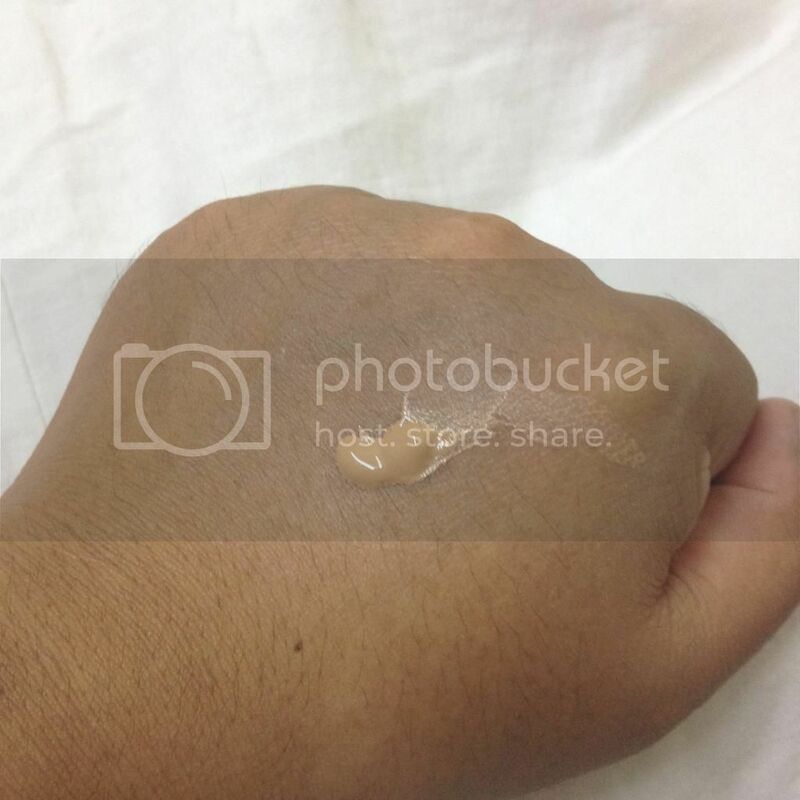 I usually dispense the product on my hand before applying onto my skin. The texture is liquid-like, not really that thick. Left: Bare face Right: With BB cream. Overall, I do like this product it's just that I have to be very careful not to squeeze the tube excessively especially at the beginning of using it. Texture-wise, I like how it adheres and blend to my skin so well. Its sebum-control is above average but not best as I still need to use blotters after 4 hours. But I do love the finishes. Again, I only use this if I want to go for a short outing like 3 to 4 hours cause this one doesn't have a long lasting power. I need to re-apply my face powder like every 2 hours. If I have to choose, I would go for BB Stick rather than this. Final verdict: 3/5. It works averagely so would I repurchase? No. But some of my girls love this because it's so affordable. It retailed for RM19.90 and most of the time this is sold with discounted price around RM15. So, this is big among my younger cousins especially. This is available in drugstores like Watsons and Guardian even hypermarkets. The first time I bought this about 10 years ago. Seriously! But I guess this is the last time I bought this because I think this isn't suitable for those above 23 years old. As I grow older, I need more sebum-controlling products. This comes in 3 shades #01 Honey, #02 Light and #03 Natural. The product is housed within this light blue compact. Actually this compact comes with its own puff (and box which I threw away) but unfortunately I dropped it somewhere. LOL So, I went and bought Etude House puff (2 with one price). I actually use this rather rarely because I frequently use my Maybelline Pure Pact Mineral Powder Foundation. Why? I'll tell you in a bit. Left: With BB Cream Right: With Face Powder. Overall, I do like this face powder. The texture is so smooth! But the need to reapply it over and over again like every 1 to 2 hours is tiring and definitely a minus point for me. Hence, I got myself other face powders that last longer. But again, I guess since this is so affordable, like the BB Cream, this is big among younger girls (age 15 to 18). I remember my T-zone wasn't as oily compared to when I was 15. This is retailed at RM18.90 and most of the time this is sold at discounted price. Sold at major drugstores and hypermarkets. Final verdict: 3/5. Will NOT repurchase this. But if you don't mind reapply again and again or you don't need much of sebum-control, this is for you. 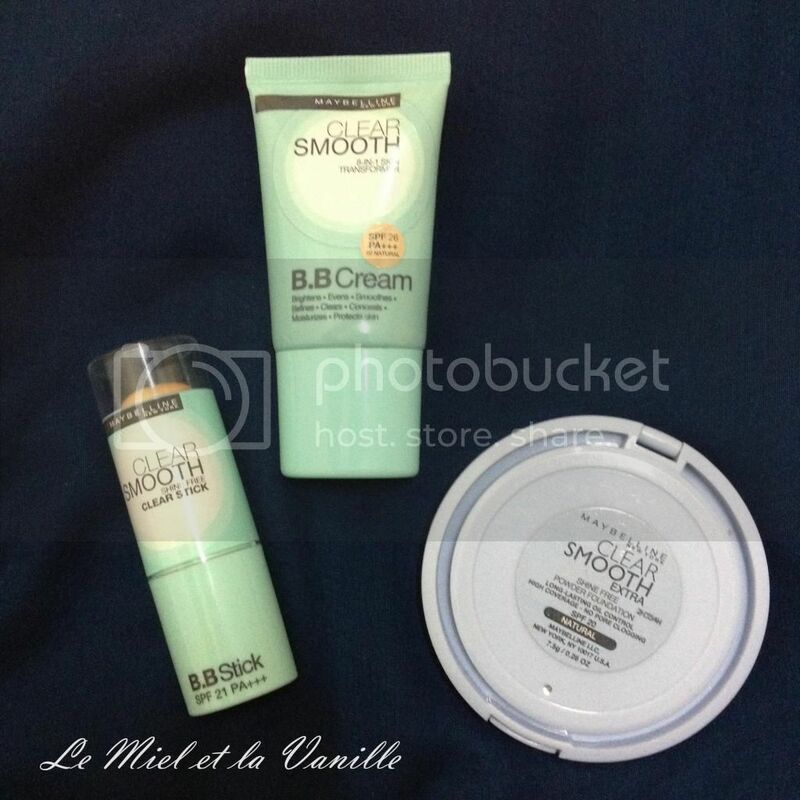 So tell me what's your must-have BB cream and face powder, yeah! Do share if you know good oil-controlling, medium to high-coverage products. Also, fit my (and yours maybe) skin tone.